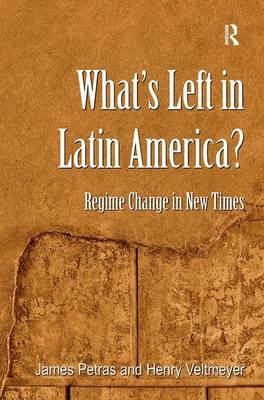 This book concerns recent and current political developments in Latin America related to the emergence of left-leaning regimes riding the waves of anti-neoliberalism and a primary commodities boom. Based on five years of field research and a critical engagement with social movements in the region, the book documents the short-term advances and strategic weaknesses of these left-leaning regimes, highlighting their failure to take advantage of favourable economic and political conditions. The authors profile four cases of recent and current political developments, and the prospects for socialism, in Argentina, Bolivia, Cuba and Venezuela.